Sharing Coca-Cola™ with my kids brings to mind wonderful memories of my childhood. Finding them at our local Giant Eagle makes it easy to keep them on hand. Camping on weekends, playing in the street until the street lights came on, and swinging on our porch. 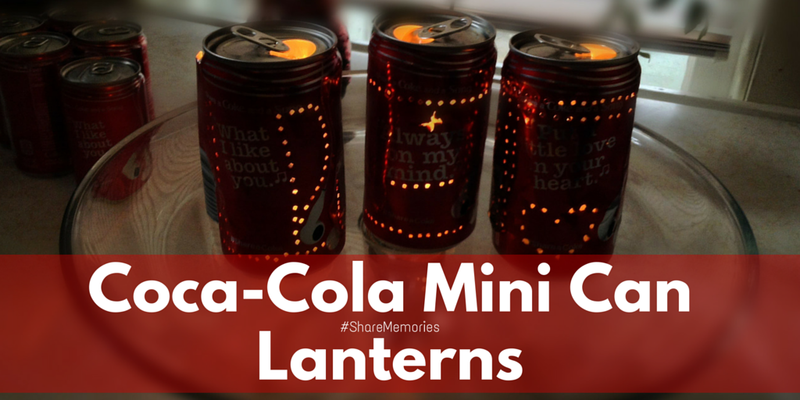 Most of the time, these memories included music playing and Coca-Cola. Especially, in the evening when our parents would let us stay up late on the porch of our house. Dad would give us a Coca-Cola while mom looked the other way. My brother and I would sip our sodas while our parents sang along with the radio. If we were really lucky, the night included firefly catching or sparklers. When I found the Coca-Cola cans in our Giant Eagle, I could not resist the Mini Cans. It is the perfect size for a treat and not just for the kids. And, our Giant Eagle had them right when we walked in which made finding them so easy. Giant Eagle is our go to for groceries, quick trips for snacks, and even gift cards. Everyone is always helpful and quick with a smile. I also appreciate being able to get in and out - fast! One evening the hubs and I were enjoying a Coca-Cola on the porch. As I was staring at the can, I started humming a tune to the song lyrics on the can. I realized that didn't want to throw away the can when I finished! Download the Shazam App to get your Coca-Cola Share a Song. Sitting there while the sun went down, I knew how I could keep the can. I would make it into a lantern. 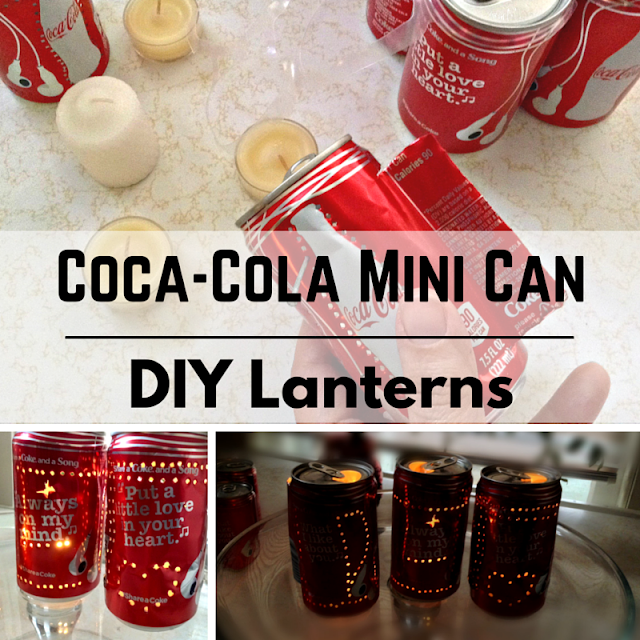 You will need Coca-Cola cans, a knife with a point, a nail, and a votive or tea light candles. I tried to poke holes with a small screwdriver, but the nail gave me more control. Since we don't want to attract bugs, wash the can out first and then look at the can. Decide where the door for the votive candle will go and where you want the light to shine through. You don't want the door to interfere with the lyrics. Since one of my cans has the word heart in the lyrics, I used a nail to poke holes in the shape of the heart in one and lines in the others. Or, you can just punch holes with abandon. Next, cut a line down the center of the can. Then cut from the top center, on either side, about a half inch (or less) to create a door to open. Use a nail file to dull the edges. Finally, the bottom has to go. The best way I found was to cut an asterisks in the bottom and push the pieces into the can. Insert a votive candle through the door and light the candle. Viola! Let there be twinkling light. Warning: the can gets super hot so don't touch the can until it cools down after blowing out the candle. How will you share a Coca-Cola and a song? Find them at your local Giant Eagle.